Retirement is not so retiring these days for a good many baby boomers. Post-work years, after all, are an opportunity to do things you really love. Meet six boomers who are seeing the country, spoiling the grands, working for pocket money, giving back, and making new friends by the dozens. In April 2013, Terry Bruce hitched a 42-foot Heartland Cyclone to back of his pickup truck, shifted into drive, pulled out of the driveway and watched his former house get smaller and smaller in the rear-view mirror. The retirees, who hail from Oregon, have been “homeless” ever since. And they love it. This summer, they’ve been parked at the KOA Kampgrounds near Gretna. They’re part of a growing segment of boomers (and millennials too!) who are downsizing and taking to the road in RVs. In fact, RV sales are expected to hit a record high of 525,000 this year, according to the RV Industry Association. 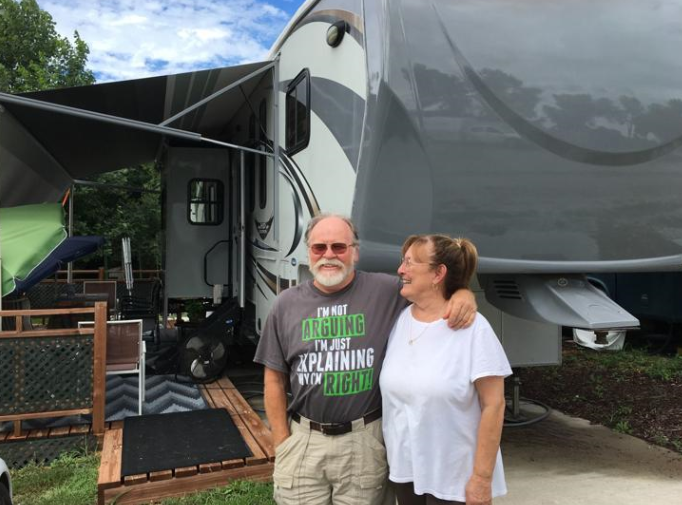 Once the Bruces decided to take their “nomadic leap,” they bought a used RV online from a seller in Texas and then bought a truck to haul it back to Oregon. They sold about 90 percent of their household belongings in a weekend estate sale. “While on the road, we discovered the joy of ‘less is more’,” Rene says. A few modifications have even sweetened the experience. Terry recently remodeled the RV to give it a gourmet kitchen, larger counters and hidden storage – amenities that make it feel more like they are in a home and less like they are camping. To date, they’ve traveled through Wyoming, Idaho and South Dakota, doing all the “touristy things.” Terry, a pilot, enjoyed a stop in Wisconsin for the Oshkosh Air Show. Then they rolled down to Florida, where he spent more than four years earning a little money restoring an antique 1938 Howard DGA-8 aircraft. All the while, they lived in the RV, taking a few trips and outrunning a couple of hurricanes. Their extended stay at the KOA Kampgrounds is tied to their son and granddaughter, who recently moved to Elkhorn from Kansas City. It was just luck that part-time jobs were available for each of them at the Kampgrounds, which meant they’d also have a free spot to park. Terry works as a camp host, escorting guests to their campsites and performing light maintenance; Rene takes reservations, works in the camp store and makes pizza. At the end of summer, the Bruces will take the long way back to Florida to escape winter. “This lifestyle creates an intimacy of its own,” says Rene. Each day is a new campground, new families in the neighboring slips, new conversations and new friendships in the making. Tom Heithoff and his wife Joyce with their grandkids. Tom Heithoff is the quintessential grandpa. The former St. Albert High School teacher has five grandchildren whom he dotes on with his wife, Joyce. Since retiring from the Council Bluffs school in 2017, the 65-year-old Heithoff has been helping out his daughter and son-in-law, Katie and Shawn Darrington of Underwood, Iowa, by watching their kids. Katie is a volleyball coach and a nurse, so she works “weird hours,” he says. Shawn is a busy teacher and coach. Tom and Joyce are happy to help out, picking up Lexie, 9, and Thomas, 8, from school, preparing meals, helping with homework, playing games and assembling puzzles. “We end up covering as much as we can,” Tom says. In the summer there are trips to splash pads and bounce houses and other special activities. “We make sure we have a fun day once a week,” he says. And of course, these grandparents don’t miss the grandkids’ games. Heithoff, who continues to help coach the St. Albert girls basketball team, raised his own kids to be athletes and impresses those same values on the next generation. From softball and baseball to football and basketball, “we go down and watch all their sports,” he says. 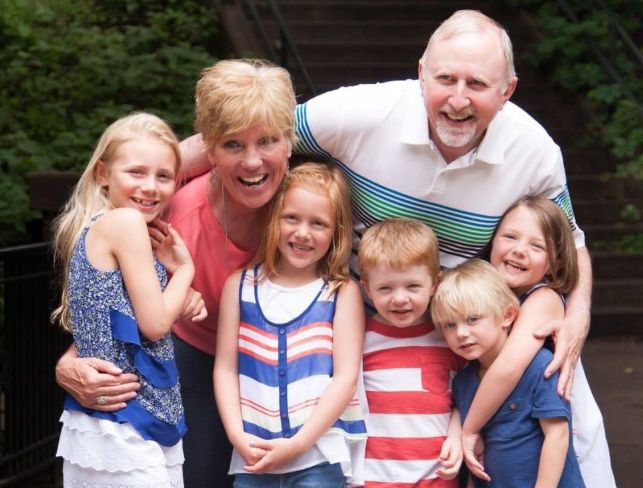 Another set of grands lives in Hudson, Wisconsin, and being retired allows the Heithoffs the freedom to drive up north, or for their daughter, Annie Burns, to bring the kids to Iowa. These grandchildren are a little older — Ellie, 12, Andie, 10, and Brady, 7 — so they can joke at a more mature level, which Heithoff loves. After teaching 40 years in three different schools, Heithoff says he loves retirement and the freedom from workday responsibilities. 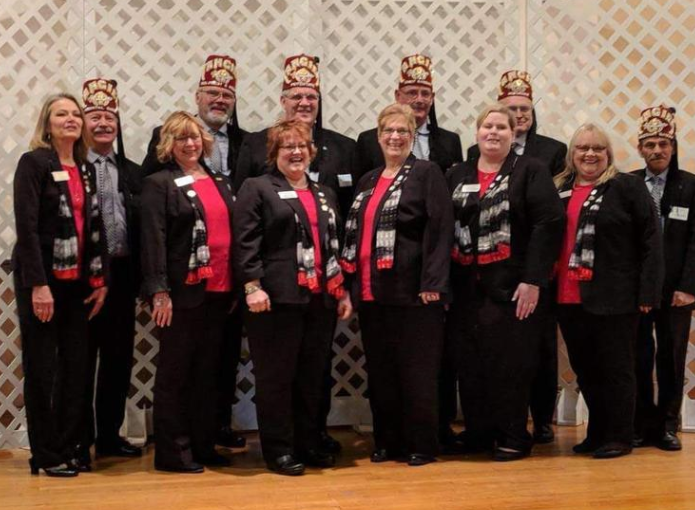 Steve and Cheryl Elliott are members of the Omaha Tangier Shriners. The Masonic roots in Steve Elliott’s family run deep. So it was natural that 12 years ago he’d become a Shriner. He does so by helping children get the medical care they need — free of charge — through Shriner hospitals. These hospitals specialize in childhood orthopedics, burn care, spinal cord injuries and cleft lip and palate. A child missing an arm or leg can be fitted with a prosthetic, or a child with malformed bones may have surgery, treatment or therapy. “There is no cost for that child, if done in our hospital,” Elliott says. More than 400 children in Omaha are receiving care through the Shriners, and it’s up to Elliott and the 2,000 other members of the Omaha Tangier Shriners to raise money for that purpose. Since retiring last year as general sales manager of Southern Glazer’s Wine and Spirits, Elliott has more time to devote to the Shriners. As an officer of the local society chapter, he devotes about 20 hours a week attending meetings and managing events for the Temple at 84th Street and West Center Road. 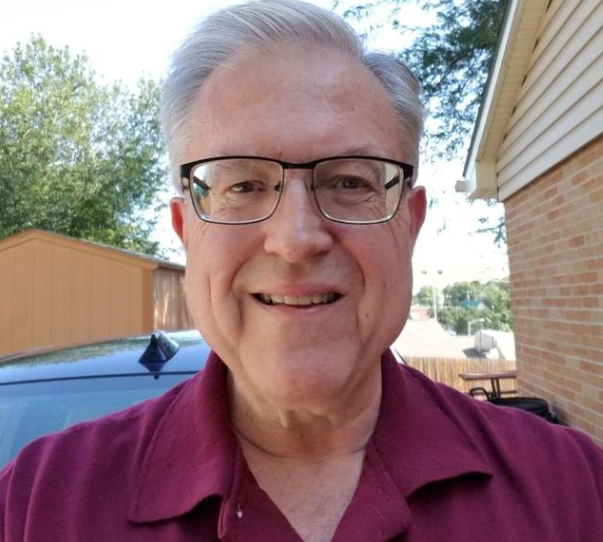 He enjoys spending time with his three grandchildren, getting away with his wife, Cheryl, and taking on extra responsibilities with the Shriners. Retiree Greg Vacek works part-time. Greg Vacek is an entrepreneur who did will with various business opportunities throughout his career. But when he divested his last business venture in February, he knew he didn’t want to start another one. “I took some time off and reflected on things to see what my next move would be,” says the Bellevue native. That move would be a job helping others. Specifically, baby boomers like himself. About 10,000 people in the United States turn 65 each day, Vacek says. And some can’t do things they used to do and need help in their homes. Vacek is among the majority of “unretirees” who are rejoining the workforce and choosing jobs that help others. 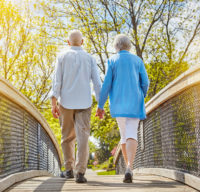 In a 2018 survey sponsored by Home Instead, 68 percent of retirees said they re-entered the job market looking for a position where they could give back. He performs a variety of non-medical services for clients. His tasks are simple: drive someone to the grocery store or the doctor’s office, make meals, or help them with their grooming. “Nothing’s off the table,” he says. Much of the time, people just need companionship. And at 63, Vacek says clients seem to appreciate seeing someone close to their own age showing up at their door. Vacek works as much as he wants to, indicating online what days and hours he is available. He earns a little “walking around money,” but helping others is a greater reward. More than 30 years ago, Bob and Maxine Musselman bought a home in Ralston and raised a daughter and two sons there. Bob died of heart problems in 1999 and about seven years later, Maxine retired from her civil service job. She continued to live in the house, chasing after grandchildren and preparing funeral dinners at church. But eventually the bustle, the voices and the laughter that once filled the home were gone. 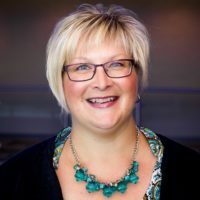 At 74, Musselman found herself worrying about the maintenance and upkeep and coping with a few medical problems of her own. 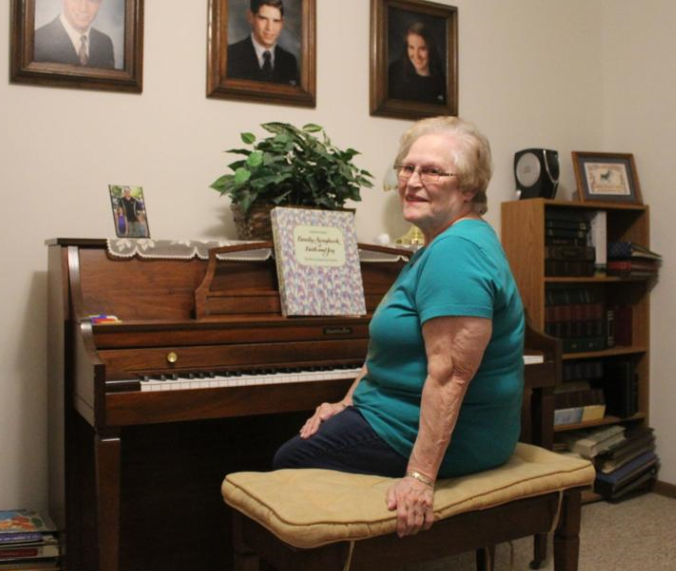 “I was ready,” she says of selling the house and moving last October to a two-bedroom apartment in The Wellington, an independent living community in Papillion. It was the right decision. Her social life has blossomed, someone cooks lunch for her, and although she still drives, transportation is available for running errands when the roads are icy and snow-packed. Light housekeeping is provided, and all those worries that come with home-ownership have vanished. Best of all, she’s surrounded by new friends — like-minded individuals about the same age. A community dining room, live entertainment, outings to restaurants, Bingo and Bunco, afternoon tea, fireworks on the deck, happy hour — they all help build relationships among residents in the 79-unit apartment complex. She also likes the convenience of services under the same roof. Just down the hall from Musselman’s apartment is a barber shop/hair salon, a chapel and an exercise room. Still, the term “independent” means residents have the freedom to come and go with no restrictions and little responsibilities. “There’s still a lot of things I want to do,” she says.